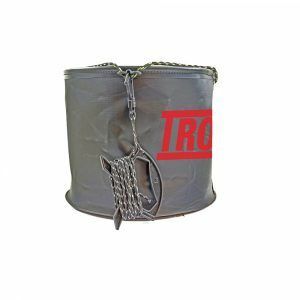 A double stitched in handle makes the bag easy to lift out of a tackle box or bag. Dimensions: 35 x 17 x 15 cm. Gone are the days of storing leads in bulk, impractical plastic boxes and ice cream tubs! 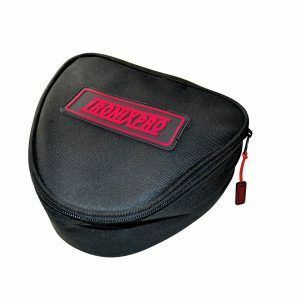 The Tronixpro Lead Bag has been designed as a durable, proper solution for leads of all types and sizes. It is made from tough 600D material which covers a hard-plastic base and surround as well as a rigid plastic lid. Combining these two materials makes the bag ideal for storing both plain and wired grip leads too. The two-way zip surrounds three sides of the bag, so it can be opened fully to easily access leads, each zip has a rubberised Tronixpro branded tag for easy opening. 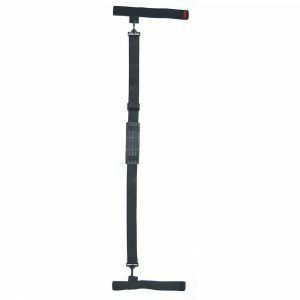 On the top of the bag, a double stitched in handle makes it easy to lift the bag out of a tackle box or rucksack. The bag is the perfect dimension to fit in our Beach Box, Large Seat Box and Rucksack. 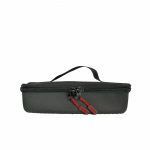 Although designed as a lead bag, it is perfect for storing other tackle items too, several bags can create a fully organised system in any tackle box or rucksack. 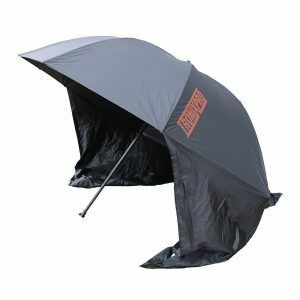 Designed for sea anglers but with multiple uses across all angling disciplines.